O: - 'Whois Online' monitors access to index or photo pages. 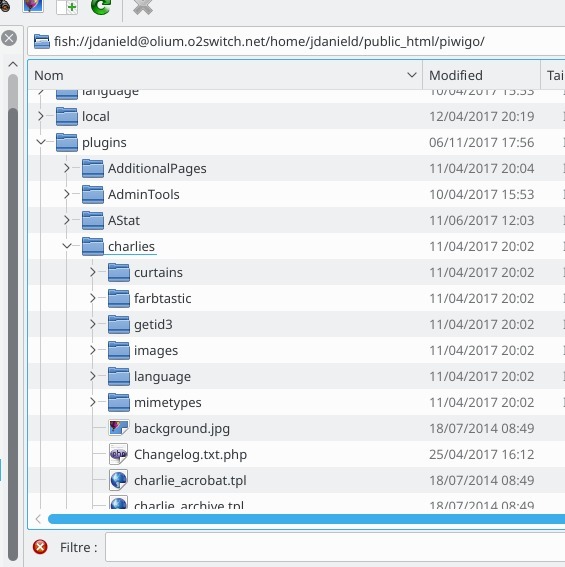 O: 'rightClick' plugin deactivates the context menu on websized pictures and more. 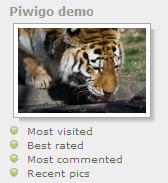 O: PiwigoPress is the one-stop solution for linking WordPress with your Piwigo photo album.